As society bemoans the troubled state of the newspaper, struggling to survive in the Internet age, it’s worth pondering what once made newspapers so vital to civic life. 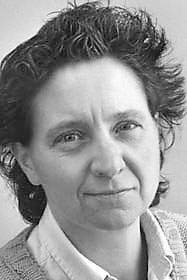 In my belief, it was journalists like Payne Peterson.Twenty years ago, Payne, who died April 5 after years of living with multiple sclerosis, ruled the newsroom of The Ithaca Journal as its city editor. She brought a steady hand, a principled ethos and a commitment to reporting the news for the people of this city. I had the privilege to work for Payne during my three years in Ithaca.She was an unlikely editor. She had worked as a technical writer for the Army Corps of Engineers and landed in Ithaca in 1981, taking a job at The Ithaca Journal literally at ground level, delivering the paper. I remember her stories of frozen mornings spent stuffing the paper into those familiar red boxes along the rural routes of Tompkins County. Once, someone left a bottle of whiskey in the box for her, a welcome gratuity. This entry was posted in My Writing and tagged The Ithaca Journal. Bookmark the permalink.